The life of 1920s multimedia superstar Aimee Semple McPherson is immortalized in the new musical Scandalous, written by Today co-host Kathie Lee Gifford and featuring music by David Pomeranz and David Friedman. After years in development, the show is set to open on November 15 at the Neil Simon Theatre, with Broadway vet Carolee Carmello in the title role. Read on to find out how one of the world's most famous female preachers became the subject of a Broadway spectacle. 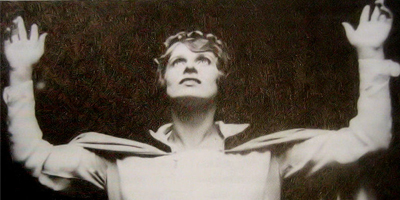 Aimee Semple McPherson was born Aimee Elizabeth Kennedy on a Canadian farm in 1890. She was exposed to religion at an early age by her mother, a soldier in the Salvation Army. Strong-willed and inquisitive by nature, Aimee suffered a spiritual crisis in her teens when she tried to reconcile the theory of evolution she was taught in school with the Bible's creation story in the book of Genesis. Aimee married her first husband, an Irish Pentecostal preacher named Robert James Semple, when she was 17. They set out for China as missionaries, but Robert died of dysentery and malaria four months after they arrived. 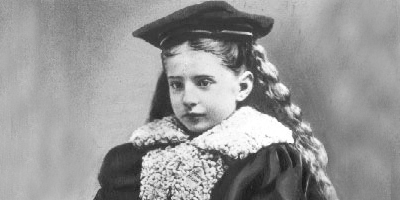 Aimee was eight months pregnant at the time with their daughter, Roberta Star, penniless and alone. She managed to make her way back to New York, where her mother arranged a job for her at the Salvation Army. It was there that she met her second husband, accountant Harold McPherson. Over the next seven years, Aimee traveled the country spreading a gospel of love and sharing her experiences as a mother. Her revival meetings were like stage shows, dramatizing scenes from the Bible with a full orchestra, plus faith healing. Eventually, Aimee decided to settle down in Los Angeles, and used modern technology—radio, movies and magazines—to spread her message. By 1926, she was one of America's most influential women, with a 5,300-seat megachurch, Angelus Temple in L.A.'s Echo Park, to show for it. Her followers eagerly joined a congregation that became known as the Church of the Foursquare Gospel. A scandal erupted on May 18, 1926, when Aimee disappeared in the ocean off Venice Beach, CA. According to her secretary, she simply vanished. Loyal parishioners held all-night vigils, and after a month, Aimee was spotted emerging from the Sonoran desert looking unharmed but claiming that a Mexican couple had kidnapped her. The evidence did not support her story, and the fact that a married engineer named Kenneth Ormiston was missing at the same time fueled the scandal. Aimee asked forgiveness for unspecified sins and weaknesses, but many believed that the kidnapping was just a publicity stunt. After a three-year third marriage, Aimee spent much of the rest of her life working to rebuild her image through charitable projects such as a soup kitchen at the Angelus Temple and appearances at World War II bond rallies. Preparing for a series of revivals, she was found unconscious in a hotel room on September 27, 1944, with sedatives in her system, and died later that day, at age 53. Her son, Rolf, led the Foursquare Gospel church for the next 44 years. The incredible story of Aimee Semple McPherson captured the imagination of novelists such as Sinclair Lewis and Nathanael West, who created characters based on her in Elmer Gantry and The Day of the Locusts, respectively. Pete Seeger penned a song, “The Ballad of Aimee McPherson,” poking fun at her kidnapping story, and Frank Capra's 1931 film The Miracle Woman featured Barbara Stanwyck in a role inspired by her. Faye Dunaway took on the title role in the 1976 TV movie The Disappearance of Aimee, and director Richard Rossi released a film bio in 2006. Aimee's action-packed life also caught the attention of Kathie Lee Gifford, a born-again Christian and one-time gospel singer, who spent more than a dozen years researching and writing the book and lyrics for the musical now called Scandalous: The Life and Trials of Aimee Semple McPherson. "This is a story about an amazing woman," Gifford told Broadway.com, calling McPherson "a woman in history who was unlike any other. Whether you're a student of history, if you're a feminist, if you're person of faith or an atheist—there is something for everybody." On its five-year road to Broadway, the musical written by Gifford and composers David Pomeranz and David Friedman has had three developmental productions. It opened at the White Plains Performing Arts Center in 2005, weeks after Hurricane Katrina, prompting a hasty name change from Hurricane Aimee to Saving Aimee. In 2007, a production directed by Eric Schaeffer opened at the Signature Theatre in Arlington, VA. In 2011, David Armstrong took over as director at 5th Avenue Theatre in Seattle. But the musical has only had one star: Carolee Carmello, whom Gifford called "the most brilliant woman working on Broadway" in an interview on NBC's Late Night with Jimmy Fallon. 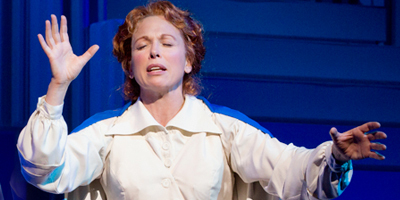 It's easy to see why the role of a charismatic female revival preacher would appeal to a smart, vivacious actress like Carolee Carmello. 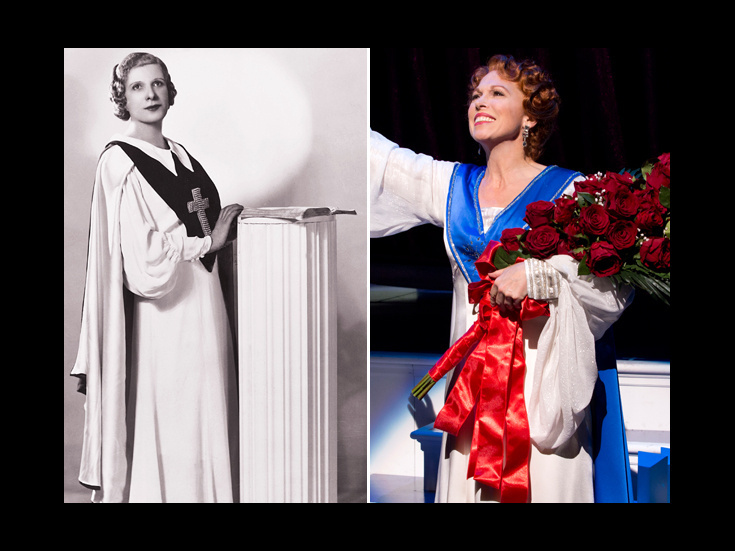 "Aimee Semple McPherson was a groundbreaking evangelist," the two-time Tony nominee told Broadway.com. "She was as famous as many movie stars of the time, with three husbands and [many] lovers; she was also an addict who died of a drug overdose. It’s the role of a lifetime, because you get to age from 17 to 53." Carmello helped shape her mammoth role from the first workshops, explaining to Broadway.com, "Kathie Lee Gifford conceived the show for two actresses, a younger and an older version. When I went in, I said, ‘Have you considered having one person play both roles?’ Kathie said, ‘That’s crazy,’ but she gave me a shot, and it’s never gone back." Scandalous follows Aimee from her rebellious days in Ontario to Hollywood ministering “in the deepest sewer of human despair” to radio stardom, marriages, men and tabloid scandals, including a trial-of-the-century courtroom battle over her claims to have been kidnapped. The fast-paced tuner also stars Broadway vets Roz Ryan, Candy Buckley and Tony winner George Hearn, who co-starred with Gifford in the 1999 Sondheim revue Putting It Together. Directed by David Armstrong and partly funded by the Foursquare church, Scandalous offers 21st century theatergoers the chance to learn about a woman whose passion for saving souls was matched by her passion for making headlines. 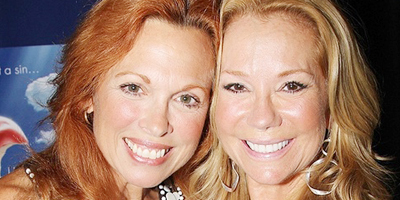 Carolee Carmello stars in this new musical co-written by Kathie Lee Gifford.